Transportation Security Administration workers may not be getting paid during the government shutdown, but a restaurant at Miami International Airport is making sure they get free lunches and dinners while on the job. MIAMI (AP) — Transportation Security Administration workers may not be getting paid during the government shutdown, but a restaurant at Miami International Airport is making sure they get free lunches and dinners while on the job. 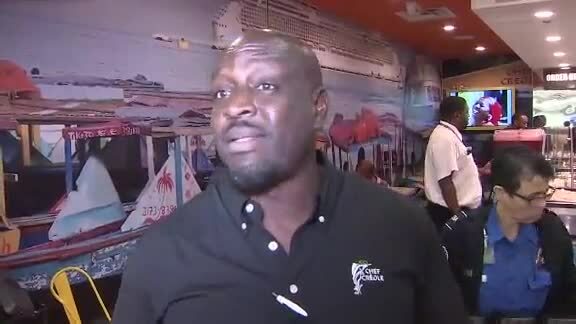 Wilkinson Sejour, owner of the Haitian restaurant Chef Creole tells the Miami Herald he'd given away nearly 350 meals by Monday. Some uniformed TSA workers couldn't leave their spots, so colleagues brought lists for take-out.